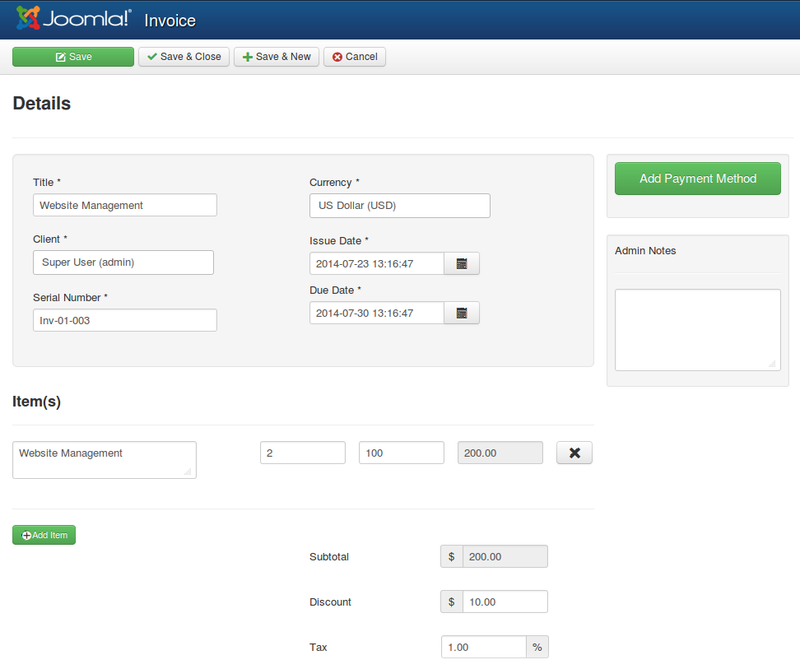 PayInvoice is an open source, Joomla based web invoicing tool that you can install on your Joomla website. Its great invoice tool for small business. It simplify your billing process to an extent that you don't require any accountant for managing your finances, just done by one who can operate system. It will save bunch of your time and money which is key to startups. Why should I use PayInvoice ? Itâs 100% open source web based application developed by professional ecommerce experts - Team Ready Bytes. Provides you power to customize invoice as per client. Simple Invoicing tool : Easily configured even by Novice users. Easily track your finances : Get stats on dashboard for total amount received or refunded. Hassle free checkout : Easy Guest checkout option no more login is required. Kill multiple birds with one stone : Create invoices you can print, save as pdf or email directly to clients for receiving faster online payment. No more limit bound you : Allow to Create Unlimited number of customers and invoices. Self Hosted Solution : Use your own branding and your own taste to design email / invoice. Manage Everything from one place : Manage your business, clients and finances from one place. Do I need to hire someone or its Childs Play ? Ecommerce term itself indicates end user that something complex need to setup and it requires some technical expert. But although invoicing system tops on eCommerce domain it requires just 5 mins to make it set up and run your business. Customize your invoice with your own logo and company details and make it to look your company professional invoices. 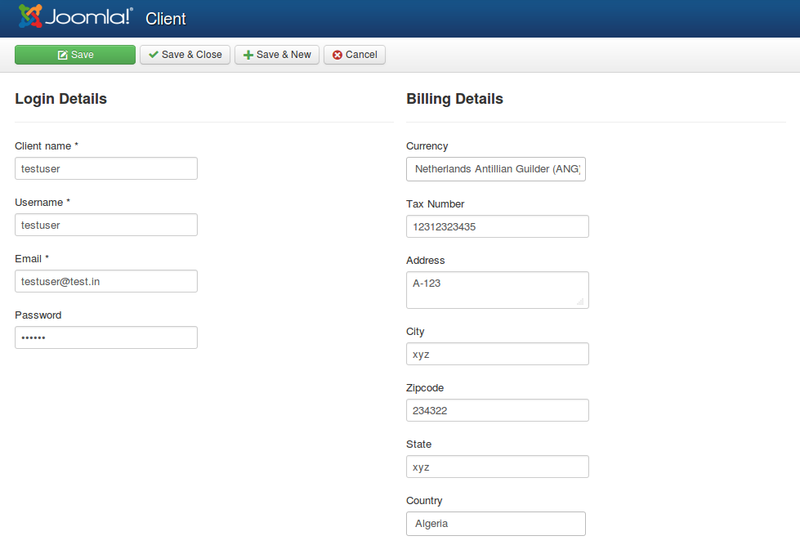 Bi-directional way to create client ie either from PayInvoice client screen or from Joomla user screen. It will auto sync up from both end. Not just this, customization power is provided on client base ie set different currency, country, tax as per client. So client1 invoice may differ from client2 invoice if required. PayInvoice is integrated with leading Payment Gateways like PayPal, Stripe, Authorize etc. So, configure your payment gateway and start channel your income from all possible sources. Create Invoice according to client like Set currency, set invoice issue and due date limit, add items which will auto calculate Tax and discount. Additionally Admin can Add payment option directly from backend or provide flexibility to user to choose from frontend. It support all standard currencies. When we say Easy - It means easy, yes simply send invoice link via email or web and your customers will also pay using guest checkout. In our last month blog Latest In PayInvoice we have highlights our major Payinvoice tasks in which we are working actively. With our upcoming release we will provide some most demanded profound features like you will get reminder of overdue payments and able to send pdf invoice during checkout process. With these enhancements we will also revise the pricing model of PayInvoice and it will get convert into Paid product with complete technical support. So stay tuned as Iâve got something big to announce very soon☺.